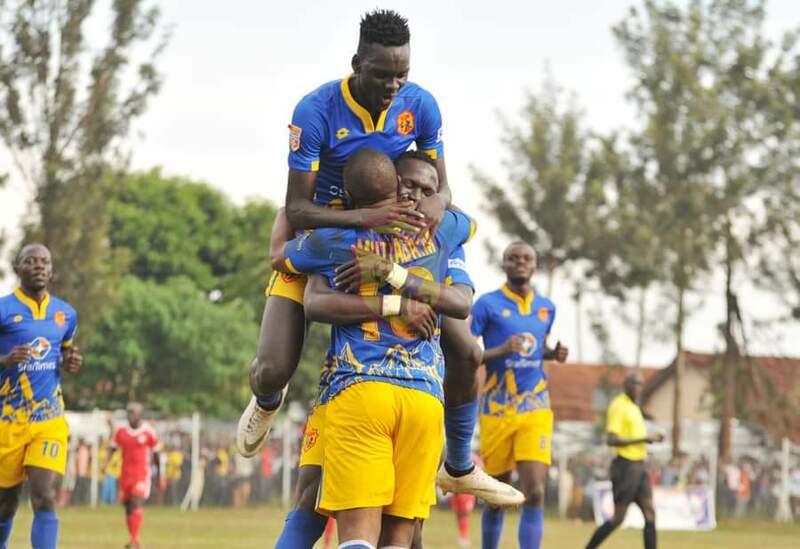 JINJA – KCCA moved closer to a third StarTimes Uganda Premier League title in four years as the defeated Kirinya JSS 2-0 at the Mighty Arena on Wednesday afternoon. The Kasasiros who won the League in 2016 and 2017 had Sulaiman Mutyaba to thank as the forward struck in either half, ensuring his side took all three points home, at the end of the day. It was not an easy ride for Mike Mutebi’s side as they were dominated on the day with Kirinya pushing them to the limit. “It was a very competitive game as Kirinya played extremely well, said Mutebi after the game. “They (Kirinya) came at us throughout the entire 90 minutes and if i am not mistaken, they created more chances than we did and had more of the ball in the final third. However, it was the Kasasiros who took the day thanks to Mutyaba’s double with the first coming 7 minutes before the break. 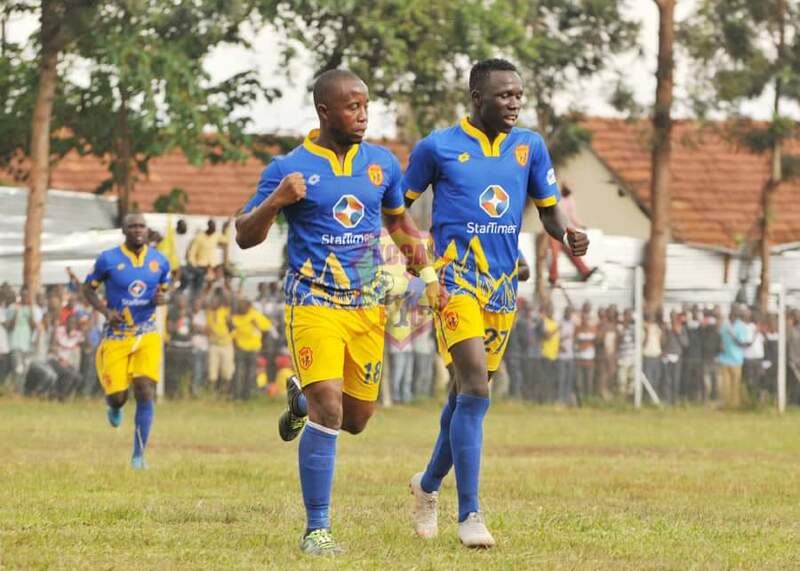 It may be would have been a nervy second period for KCCA but Mutyaba struck 8 minutes after the re-start to take his season’s tally to an impressive 9 goals, level with Patrick Kaddu, the club’s supposed first choice striker. It should be noted that Mutyaba had initially retired from active football but was only convinced to return to the game by Mutebi last year and what a masterstroke it is turning out to be for the tactician. In a season in which KCCA’s best players in the last few season, including Allan Okello, Allan Kyambadde, Saddam Juma and Kaddu are blowing hot and cold, it is the former Vipers, TP Mazembe and Express playmaker that keeps on pooping up with the goods. Mutyaba’s 9 goals have seen KCCA win 8 points this season and it looks like he is headed to be named the club’s best performer this season. The result on Wednesday means that KCCA move onto 52 points for the season, still four ahead of second placed Vipers with only six games to play. A digging deeper into the remaining fixtures, it looks increasingly likely that the Kasasiros will win this year’s league crown, a third in four years under the stewardship of Mutebi. “We got a good result which clears our chances to win the league this season, Mutebi stressed on Wednesday. How good the result on Wednesday is to the Kasasiros, will be put under intense scrutiny next week when KCCA FC host Vipers at Lugogo. The Venoms were also on the winning side on Wednesday as they defeat Maroons by the same score line at Kitende. The clash between the top two next week, is seen as a potential title decider. A win for KCCA will see them pull 9 points clear, a caution that will surely see them seal another crown. If somehow Vipers who were the first team to defeat KCCA at the newly laid artificial turf at Lugogo in 2016, can win, then the StarTimes Uganda Premier League may go down to the wire like it did last season. Last season, Vipers defeated UPDF on the last day of the season to win the League by four points while KCCA drew 2-2 with Police in their penultimate fixture.